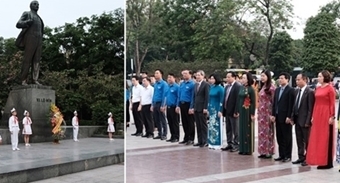 Deputy Prime Minister Truong Hoa Binh has urged the National Committee for Traffic Safety along with the Ministries of Transport and Public Security to exert all efforts to reduce traffic accidents during the Lunar New Year holiday (Tet) which lasts from February 2-10 this year. Binh, who is also Chairman of the National Committee for Traffic Safety, spoke at a recent conference to discuss traffic safety solutions, following a number of recent collisions. Khuat Viet Hung, vice chairman of the committee, mentioned fatal accidents involving trucks and coaches in the first half of January. Besides poor driving, transport enterprises are also to blame for these incidents, he said. According to Hung, many transport enterprises put huge pressure on drivers – forcing them to work long hours without being monitored and or conducting periodic checks on vehicles. The punishments for those companies are not strict enough to stop them committing violations. A drug and alcohol testing campaign in some localities and accident black spots was suggested by Transport Minister Nguyen Van The, aiming to reduce traffic accidents, especially those involving large vehicles. 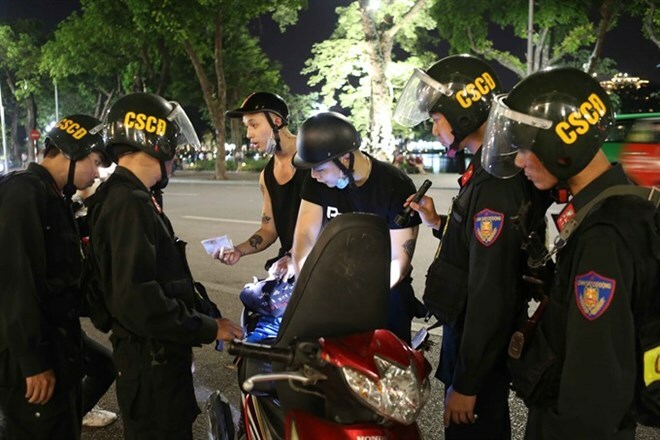 Last week, Ho Chi Minh City Traffic Police started to conduct drug tests on truck and coach drivers. On the first two days of the campaign, January 12 and 13, five of 44 drivers tested positive for narcotics. Binh instructed that the drivers have their licences revoked. At the same time, investigations will be conducted into a number of transport companies and driving schools. The Deputy PM also asked for management on the issuance of driving licences to be tightened and harsh punishments imposed on any schools which violate regulations. Responding to the 24 fatal traffic accidents in late December, 2018 and the first half of January, 2019, Nguyen Van Huyen, General Director of the Directorate for Roads of Vietnam, said that poor driving was partly to blame. Some experienced drivers cause accidents by overestimating their ability or driving dangerously, he said. On January 17, a driving school in the Central Highlands province of Dak Lak was reported for deceiving trainees. According to initial findings, staff said that the school was part of the Ministry of Transport and promised to help all trainees pass their driving tests by paying between 6-10 million VND (260-430 USD). Up to 400 people had enrolled in the school by the beginning of 2019. During Tet last year, from February 14 to 20, 2018, 168 people were killed in traffic accidents while another 37,200 were injured. The number rose sharply on the third and fourth days of the New Year.